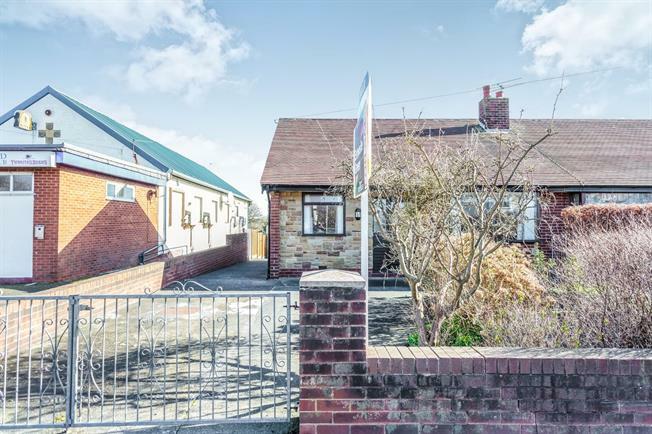 2 Bedroom Semi Detached Bungalow For Sale in Blackpool for Offers Over £130,000. We are pleased to offer this spacious Semi Detached Bungalow. The property comprises of Lounge, Kitchen Diner, Utility Room, Two Double Bedrooms and Walk in Shower Room. Large garden to rear and driveway leading to Garage provide parking. The property also offers great potential to extend to a large family home. No Chain Involved.